If you can recall, it’s been eight years since Facebook was first surfaced on the world of web. 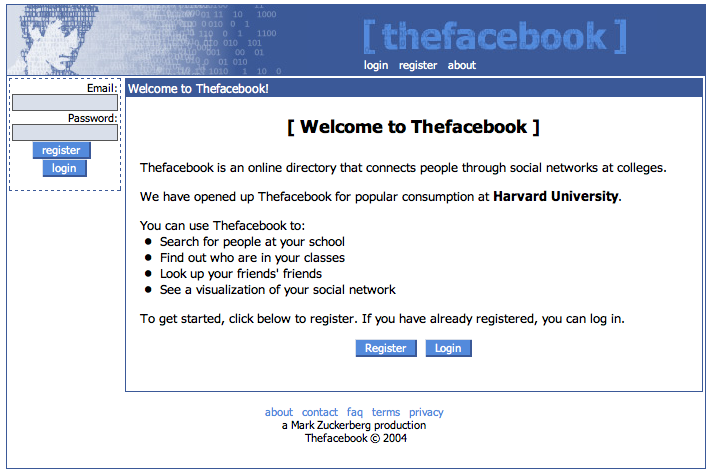 Back on February 04, 2004, it was initially launched as TheFacebook. It is going to turn eight on coming Saturday. Interestingly, the social networking giant is apparently celebrating its birthday week with the filing of an initial public offering, which could value the company at almost $100 billion. The public offering will make the Facebook, the largest social networking site, four times the value of the search giant, Google at the time it went public in 2004 with a valuation of $23 billion. Facebook has traveled a long way since it first launched in the dorm room of Mark Zuckerberg. Initially, the site was just restricted to the Harvard University undergrads. Later, it was opened up to some other schools and within a period of two years managed to collect 5 million users. As of today, the site has over 800 million active users all over the world. In other words, we can say it has 40% of all Internet users. The site is expected to hit 1 billion users mark by August. After Google, it is the most visited site all across the globe. Since its very start, the social networking giant drew the attention of investors, but refused bids from several companies from NBC and the Washington Post Group to MySpace and Viacom. Back in 2008, several reports surfaced claiming that Mark Zuckerberg was in dialogue with Yahoo for Facebook’s potential sale. However, later he turned down the offer for $1.6 billion, saying that the bid was too low for his interests. Now four years have passed and the company could be worth as much as 100 times that numbers. Facebook still has long way to go. We cannot say at this time where will it be in the coming ten years or so. We have to wait and see whether it has the potential to stay on the top in future.